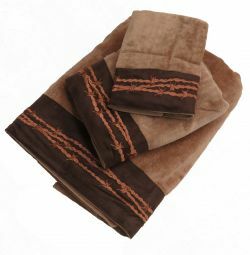 3 Piece light brown towel set with embroidered barbed wire design. 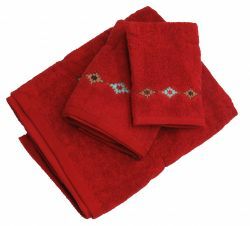 3 Piece red Navajo diamond embroidered towel set. 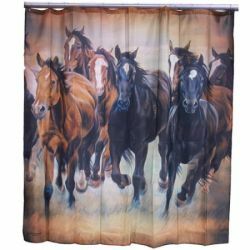 70" x 70" "Running horses" Shower curtain. 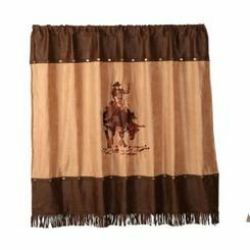 72" x 72" Rodeo rider shower curtain. 72" x 72" Bull rider shower curtain. 30" x 19" Running horses microfiber memory foam bath mat with grip bottom. 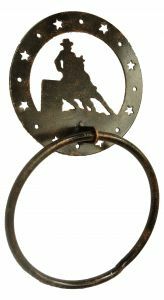 Western horse shoe and star hand towel hanger with brown powder coat finish. 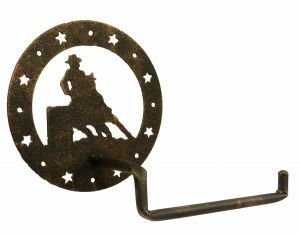 Barrel racer toilet paper holder with brown powder coat finish. 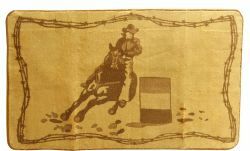 Barrel racer hand towel hanger. 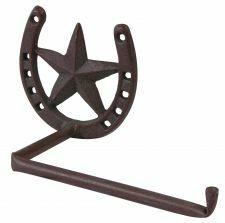 Star & horse shoe toilet paper holder with brown powder coat finish .